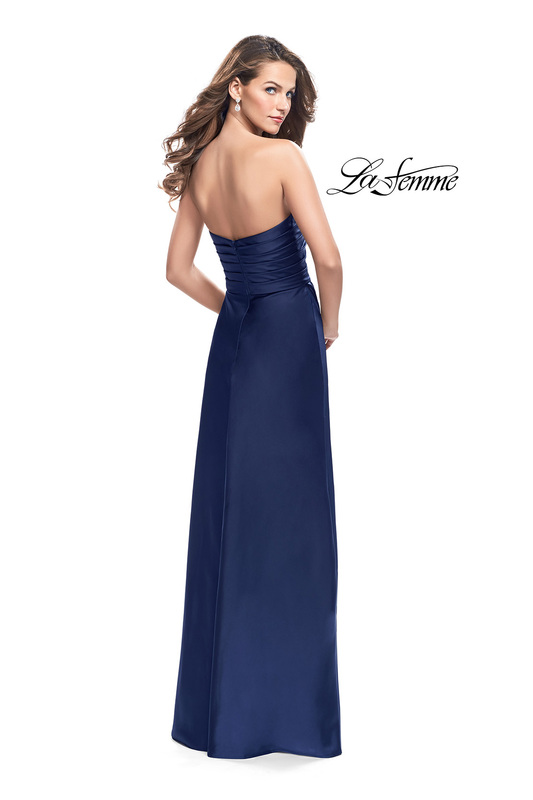 Gorgeous strapless satin gown with a plunging sweetheart neckline. Featuring flattering side ruching and a wrapped side leg slit. Back zipper closure.